VK: Could you give a quick overview of your involvement with Serial Box? I know you composed the Born to the Blade theme, but does it go beyond that? ARS: Yes, I'm actually the audio producer for just about all the series. So that means I cast (with their final approval) and coordinate the recording and post production. I do all the sound design and themes as well. There are a couple series I didn't do, such as The Witch Who Came in From the Cold and Belgravia, but that's it. VK: Gotcha. I listened to Born to the Blade Episode 1, and it wasn't exactly what I expected. I don't know why, but the notion of "serialized audio fiction" made me think of old radio shows, with full casts, etc. This was more like an audiobook with sound effects. Is that an accurate description? And for context, I loooove audiobooks. ARS: Sort of! In the audio world, those old audio dramas are kind of antiquated and I didn't really want to harken back to an older form as much as work towards a newer one. Serial Box calls itself the HBO of reading, and I was thinking of it more as a hybrid between a television series and a book. So my [audio] effects are meant less to give sound to every little thing that might make sound, and more to just subtly make the listening experience a bit more immersive than it would be in a straight audiobook. VK: Do some of the series feature a full-cast production, or are they exclusively a single narrator? ARS: Some of them are multicast! Tremontaine has 3 narrators. It's still not like a radio play though, because they tend to narrate different sections from the point of view of different characters, less than speaking directly to each other. VK: I want to circle back to the "audiobook with sound effects" thing later, but since you mentioned multiple narrators, that leads me to something else. When you're dealing with something that's hours long, are your narrators there with you in-studio, or do they all record separately and then send in the audio? The last time I did a lot of voice over recording, I insisted on bringing them in because — I know many performers have home studios — but I was too nervous as a producer to cede control of the read to someone I hadn't worked with before. What's your approach? ARS: I do both in different situations. Sometimes I also direct via Skype. If someone is going to record at home, I often do that for the first episode, but we also do comprehensive listen downs and rounds of corrections. So if someone does record at home, self-directed, we make changes as needed if something feels off. VK: What is that "listen down" like? How many people are involved? ARS: It varies. Sometimes its just me. Oftentimes, the series producers listen before a piece airs as well. And, depending on the project, I sometimes enlist proofers to listen and note any mistakes. Every episode gets listened to at least twice before airing, which is really important for quality, I think. VK: How meticulous can you afford to be in line readings and nuances of performance? My work with narration and voice over has extended only to projects that are less than an hour in length, but I'll drill down on almost any single line that isn't as good as I feel it can be. But when you expand out to novel/series-length work, I assume there have to be "we can live with it" moments. ARS: It does happen sometimes. And certain things are also subjective. It's not always a matter of it being wrong, but of different interpretations. When it comes to straight errors, I'm pretty serious about that, but all the actors we work with are truly fantastic and sometimes their interpretation is something I might not have thought of, but it's still great. VK: Yeah, that happens a lot. This isn't any kind of revelation, but I feel like the longer the project, the more crucial that trust in the person you've cast becomes. If I'm doing something very brief, I feel like I've got a bag of tricks that can get almost anybody through to a workable final product. But that only holds for so long. What is your casting process, then? Do performers read small samples, do you work off of recommendations, etc? ARS: I've been working in the audiobook world for about 10 years, so I'm fortunate enough to have a lot of actor contacts. So I draw on them a lot. Generally I get a lot of auditions, pare it down to a few people I think are all great, and then make the final decision from those people with the producers of the series. But trust is SO key. Like, for me, following audition instructions is really important. If you don't do that, how can I trust you to take care of the project? VK: Right. Circling back, I'm curious what the decision-making process is for how to structure your approach to sound design on a project like Born to the Blade. The canvas seems so vast, you could do an entire start-to-finish sound mix, but instead you pick your spots. What helps govern your approach when the options seem endless? ARS: Well, obviously time is a factor, as much as I wish it weren't. But it's also an aesthetic choice — for me, it's about supporting the actor's performance, enhancing it, but not competing with it. It's not like a visual medium, where you can design around the dialogue. The whole thing is dialogue. So you have to consider that with the effects, to make sure you aren't covering the performance up. All the information about the story is coming primarily from their words. VK: Do you have any insight into what's driving the push into serialized fiction at the moment? A couple of years ago John Scalzi started releasing The Human Division as a serial, which harkens back to old...I mean, Dickensian...publishing models, but now the trend seems to have caught on. Is it the influence of podcasting? Something else? ARS: I think podcasting has a lot to do with it...people are doing a lot of multi-tasking, and I think that these episodes are great for commuting, or doing things around the house. It can be nice to have a bite-sized story rather than a full novel, and also following along with something as its being released, weekly, or monthly, or what have you. VK: Before moving on, I have to ask — there are people who physically make books who can't stand to read them, there are grips who make movies who can't stand to watch them, etc. — do you get to enjoy podcasts and audiobooks yourself, or does being in the trenches make you want to keep them at arms' length, as a consumer? ARS: It can be hard. I'm not sure if it's that I want to keep them at arm's length in general, or just that since I spend so much time listening to them that it can be nice to get away. I have about 1000 books under my belt in general, including Serial Box and my other work, I probably end up working on around 75-100 books a year so I don't always want to hear more in my free time, especially since it can be hard not to listen with a work-critical ear. BUT that said, I also really, really enjoy listening to the ones I work on, and sometimes have to re-listen to passages because I was into the story and not paying close-enough attention to the accuracy or what have you. So I really do enjoy listening to them, and I think if for some reason I weren't working on so many I would listen a lot. VK: That's always a nice feeling. Getting lost in something you helped bring into being. ARS: Totally!!! I had the Born to the Blade theme stuck in my head for two days, and was really proud of that. VK: Can we talk about your music? Music started my journey into the arts, and into my career. I started off in a band, we decided to make a music video, made album art, etc., and that got me hired to do graphics, and then video work, etc...So I'm always interested in other artists' journeys. How did your creative/music endeavors intersect with a career in audio production? ARS: Well, I started off as a classical composition major, specifically interested in film music, and I started engineering originally to record my own music. And then found that I loved that, too. Interestingly enough, my work study was with the office of disability services recording textbooks onto tape for blind and dyslexic students with one of those old little dictation recorders. I'd get their weekly assignments and then read them aloud. VK: The tools have changed a little bit. ARS: Heh. For sure. When I was graduating, I realized that as a composer and musician, making a career was...challenging. I come from a poor background and there wasn't anyone able to subsidize a beginning composition career. So given that, I liked recording, I decided to continue school in that vein, and ended up getting a masters in music technology from NYU. Over the years, all the different backgrounds and skills have just kind of...merged interestingly. Recording, composing, and also the out-loud expression of stories. Working for Serial Box has been a particularly cool way to mix all those skill sets. VK: Between the Born to the Blade theme and the work you have on your website, I'd certainly describe your music as "cinematic." B2tB is as epic and sweeping as you'd expect in a fantasy TV show or movie. Do you bring a sense of genre (of the overall project) to bear when you start composing, or is it rooted in character, story scope, etc? ARS: Definitely both. Part of what I love about this kind of composition is the opportunity to step into so many different worlds and genres. Just in the themes...Born to the Blade, Remade, Royally Yours, False Idols...they're all totally different styles. I've always been a giant nerd, and most of the other projects I work on are smaller scope, so I was particularly psyched about B2B. I so rarely get to use choirs in my pieces! VK: When you're digging into pieces that are very different in terms of genre, do you find yourself relying on your training, or do you seek out a lot of examples in that style that you look to for inspiration? ARS: Both. I always ask the series producer for a few links, even something on YouTube, that they like and that they feel is in the vein of what they want. And if possible, I try to wait until I've finished recording and creating the first episode until I finalize the theme, so I know that it fits with the genre but also the characters and mood and plot trajectory. Music is such an emotional thing, it's hard to explain what something should be in words. Just saying something like "fantasy, epic" means so many different things to so many people. VK: This is something I struggle with: if you're trying to do a piece that's "like" something else...like a fantasy theme, or like a mystery thing...do you try to nail that thing — the best Amanda Rose Smith version of a mystery theme, for instance — or do you also try to subvert expectations in some ways? ARS: I don't try to subvert anything unless I think that's part of the process. An old professor of mine once said that in a film, the score is like an invisible actor, or the psyche of a character. It doesn't add something that isn't there, but it does illuminate something that someone might not know is there. So that could subvert expectations in some instances, but that's not my goal. 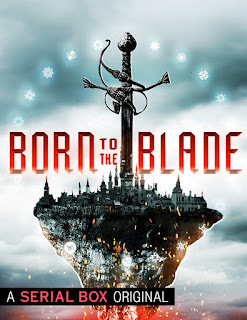 So, for Born to the Blade, it's epic, but its also emotional. There's a lot of political stuff there, and stories about cultures that have been subverted by other ones. So I didn't want to only go big and bombastic, but also to inject some emotion into it. VK: I think you did. If I remember right, you did some academic work on whether regular folks can tell the difference between acoustic and sampled instruments. ARS: Yes! That's what my master's thesis was on. Of course that was a decade ago now, but still. VK: How does that inform your approach to recording? I assume you're mixing live and sampled instruments in a lot of your work? ARS: Well, mostly due to time constraints, these themes have been largely computer only. But when the opportunity arises, I do like to mix the two, even if listeners can't tell the difference. That doesn't mean it's not worthwhile, for the same reason that an actor's interpretation might be worthwhile even if it's not the same as mine would be. Real live musicians bring their own soul to the work. I've heard other people play things that I've written and thought, "Wow! I didn't even know it could sound like that"
ARS: I wrote my first orchestral piece when I was 17, and though it was pretty terrible in retrospect, I remember that feeling well. VK: But for all of that, people can't generally tell the difference, is what you're saying? ARS: Generally not. Even when I did my experiment in 2008, people only guessed right about half the time. Tut there are certain instruments and genres that are harder to do all with computer. VK: For sure. But regardless of the method of production, I feel like the goal is always to land emotionally with the listener, or viewer. So if you can accomplish that, what does it matter if the strings are synths or not? VK: It seems like in a lot of ways your Serial Box gig is kind of a perfect one for you — you get to bring a lot of strengths to bear. Is this sort of a dream project, or is something dangling out there that you think, "One day I'd really love to...?" ARS: I think that to some degree, just because of my personality type, I'll always have those dangling ideas. But to be honest, it really IS a fantastic gig for that reason. I get to merge a lot of different skill sets, but also the projects are all super high-quality, and the producers I work with really respect me and the skills and ideas I bring to the table. I feel that I'm really allowed to do a lot creatively. In a perfect world, every project would also have unlimited time for completion too! But alas I can't keep the listeners waiting forever. 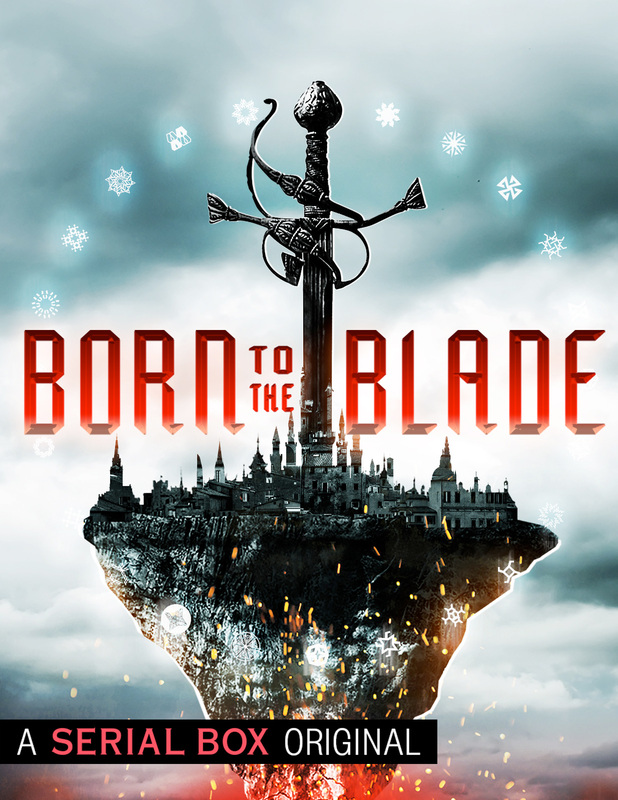 Check out Born to the Blade here. And take a look at our (very positive) review of the first two episodes here. Posted by Vance K — cult film reviewer and co-editor of nerds of a feather since 2012, folk musician, and Emmy-winning producer.